Bridget Mulrooney is a certified pediatric hematology oncology stem cell transplant nurse. 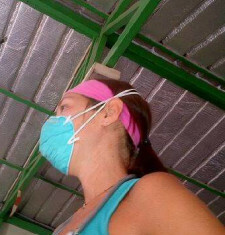 She transformed into a TB nurse, volunteering with our clinic for a full year. She took care of those who arrived desperately ill with no time left and those who simply need to eat. She took care of hundreds of patients, always with a mix of great tenderness and toughness.